"Martyn provided much-needed guidance and effectively helped us through a major Quality Department re-structuring in a challenging time for the business..."
"Martyn provided valuable, professional support and effective project management in advance of a FDA inspection. Martyn's knowledge and experience was very helpful, and working with him was always a pleasure. Many thanks, Martyn!" "Martyn Becker plays an important part in the quality and integrity of our programs and has worked with the company for many years as one of its highly qualified senior supervising consultants. He provides invaluable supervision in his areas of specific expertise including Sterile/Aseptic Manufacturing and GMP as well as for Laboratory and Quality matters." 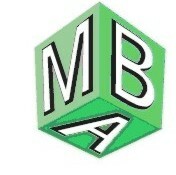 "When we needed expert pharmaceutical aseptic advice, we were recommended to contact MBA. The professionalism and delivery were very much appreciated." "Martyn's regulatory background, aseptic expertise and effective training have been invaluable in helping us to become inspection-ready and to develop robust quality systems for the future."